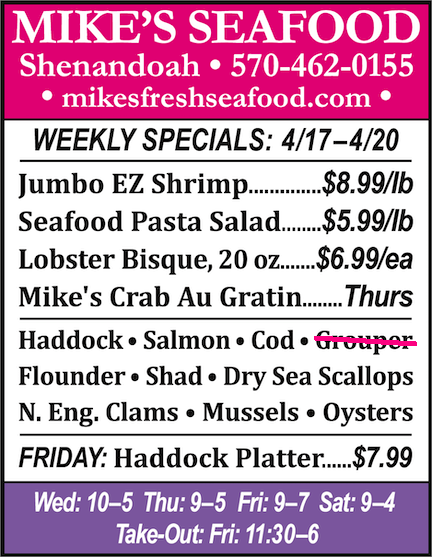 Weekly specials are updated every Tuesday/Wednesday. Pricing and availability subject to change. Copyright 2015 Mike's Seafood. All rights reserved.